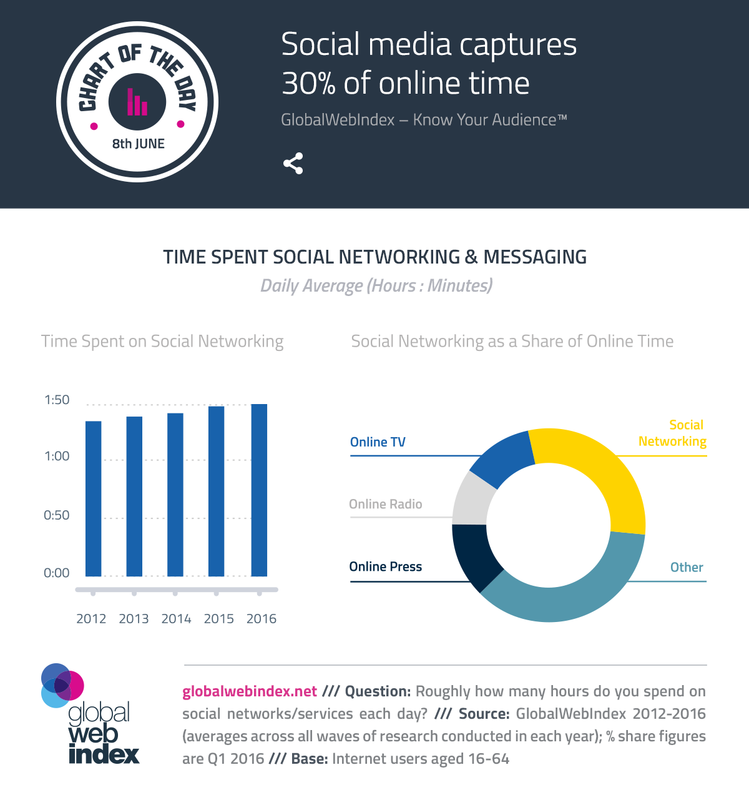 GlobalWebIndex have looked into how much daily time we spend on social networking and messaging, daily. The recent report shows that social media takes up 30 percent of online time, with one of the more common reasons for visiting social media platforms so often being to ‘fill up spare time’. Findings show that we are spending up to 2 hours per day on social media – a figure that is only increasing as we can tell from the results chart. By demographics, it’s women, the younger generation and the lower income quartile who are leading by this statistic.